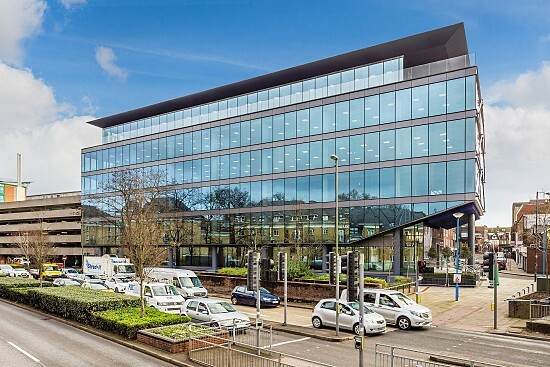 Aviva Investors, the global asset management business of Aviva plc, announced that it has let the newly-developed Victoria Gate building in Woking as additional office space for the expanding McLaren Group, a global leader in luxury automotive and technology. McLaren has signed a 20-year lease on the whole building, comprising 65,000 sq ft.
Victoria Gate is located in the centre of Woking, northwest Surrey, and has been fully re-developed by Aviva Investors to create innovative, Grade A space that benefits from: a double height reception; 5th floor terrace; shower facilities on each floor together with a basement shower and cycle hub; 62 car parking spaces; and energy efficient heating, cooling and lighting systems. Woking is part of the London commuter belt and benefits from frequent trains and a journey time of approximately 24 minutes to Waterloo Station.